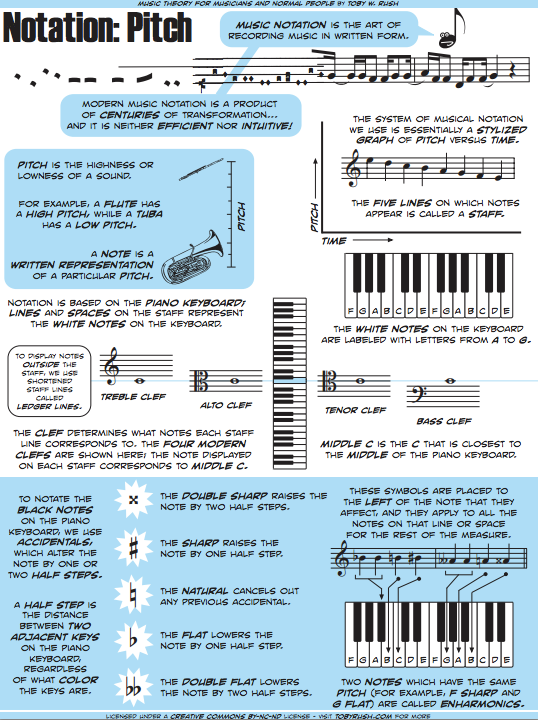 Everything you ever needed to know about music theory, in just a few genius infographics. Put down those dusty music theory books, send that bearded lecturer packing and allow us to introduce a new way of presenting everything you need to know about modes, counterpoint and keys. Music theory guru and graphic designer Toby W. Rush strips away the academic fluff and presents it all in this beautiful and easily understood series of graphics. Whether you're a newcomer with an interest in getting under the bonnet of your favourite pieces or a student wanting to find an elegant cheat-sheet, here's music theory for the online infographic generation.